If you’re like me, you like to travel PREPARED! And that means toting around a binder full of confirmations, reservations, accommodations and flight information…well, at least it used to! While living abroad, we discovered TripIt! In a nutshell, TripIt takes all your above mentioned emails and organizes it nicely in an online itinerary. This can be done in two ways: 1) TripIt searches your emails and pulls all confirmations, reservations, ticket stubs, etc. into TripIt on its own or 2) You simply forward your said travel plans to plans@tripit.com. YES, IT’S THAT SIMPLE! 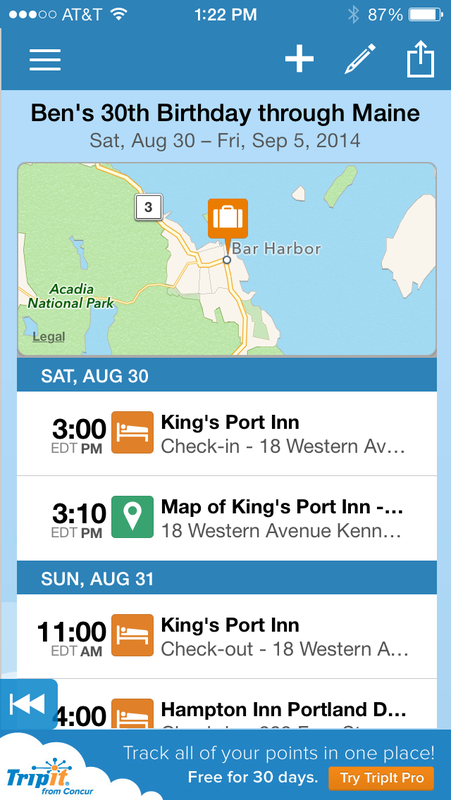 Here’s the kicker… all your itineraries are downloaded to your device (if you download the free app) and you DON’T need internet or wifi to access it. SO, even when you’re traveling abroad without internet access and are stuck in a cab trying to figure out where to tell the driver to go, you can quickly and easily pull up your address right on your phone. And for all the loved ones back home who want to track your every move…you can easily have TripIt email an itinerary to any email address. Add ins: you can sign up to be a TripIt Pro member for a small fortune and the app will track your flight costs, points and other shenanigans. I did this for one year and felt the cost wasted. Everything I needed was in the free version. This has drastically changed how I travel. For.the.better! Goodbye to fiddling through crushed papers in my travel bags! Perhaps some readers can comment on if this app is compatible with other phones and tablet devices. This entry was posted in Travel, TripIt, Uncategorized and tagged Itinerary, Planning, schedule, tickets, travel, trip, TripIt, vacation. Bookmark the permalink.